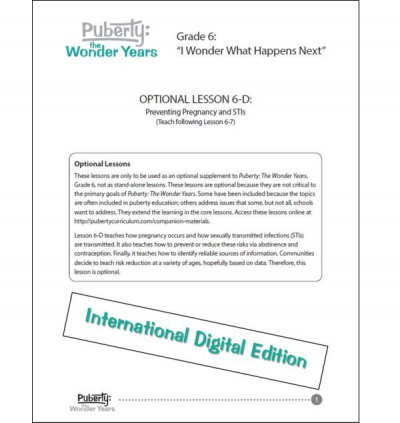 Optional Lesson 6-C: Skill Development: Identify Trouble and Refusal, enhances Puberty: The Wonder Years for grade 6. 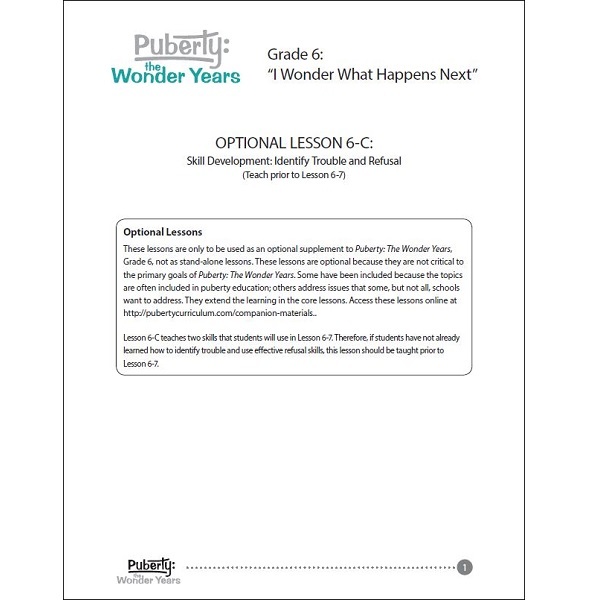 Optional Lesson 6-C: Skill Development: Identify Trouble and Refusal: Students learn the steps for identifying trouble, then practice them using a typical situation. Next, students learn five effective strategies to use when refusing pressure to engage in something that could lead to trouble. They practice refusing in a typical situation. 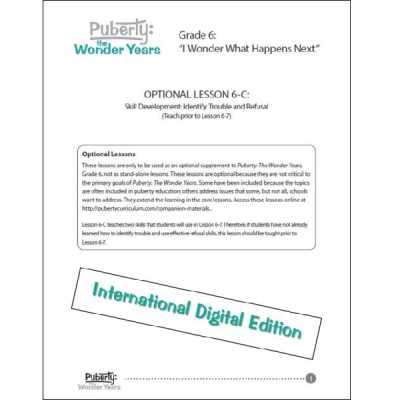 This optional lesson can be implemented if students have not previously been taught the two skills applied in Grade 6, Lesson 7: identifying trouble and using refusal skills.